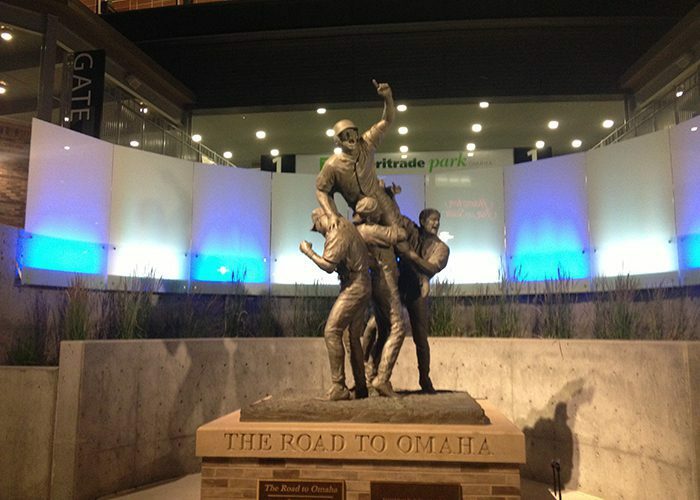 OMAHA — It gives me great pride to welcome you to D1baseball.com. D1baseball.com has been your online home for college baseball scores and schedules for the past 12 years, and today, we significantly expand the brand. We do so with one simple goal: to become your online home for all things college baseball. With the addition of seven outstanding writers who have nearly five decades of combined history covering the college game, we’ll provide broader and more complete coverage than has ever been done in the sport. We’ll do so with an intentional variety of coverage as well, allowing you, the fan, numerous ways to receive your college baseball news. The community section of the site gives fans a place to discuss, debate and decipher the topics surrounding the game. The dedicated regional coverage gives all areas of the country their own place within the site with regular coverage throughout the year. Weekly chats with writers will give fans another way to interact with the game. As the site grows and the season gets into full swing, we anticipate adding even more elements to serve you, the fan. We do all of this with a tip of the cap to the site’s founders, Jeremy and Cynthia Mills. The site was started based on one goal: provide fans access to scores and schedules in one centralized location. The idea might seem very basic, but the implementation was anything but. Cynthia remains an integral part of D1baseball.com moving forward, as she is the driving force behind the scores and schedules component. I am fortunate to have been raised in Omaha and am ecstatic to see the continued growth of the college game. ESPN brought the College World Series and college baseball to the masses 35 years ago, and the growth of the game in that timeframe is staggering. The increased focus by ESPN, and other networks and media outlets as well, has accelerated in recent years, and the game is at an incredible place right now. We aim to add to that growth with our coverage and focus solely on college baseball. In the end, it’s you the fan that will determine if we are doing so effectively. We value your feedback and insight. Let us know what we are doing right and what we are doing wrong. Tell us ways we can grow our coverage and we will aim to do just that. I’ll see you on the air in a few weeks. In the meantime, thanks for your interest in college baseball and thanks for visiting D1baseball.com. Subscribe to D1Baseball.com: Get your experience started!